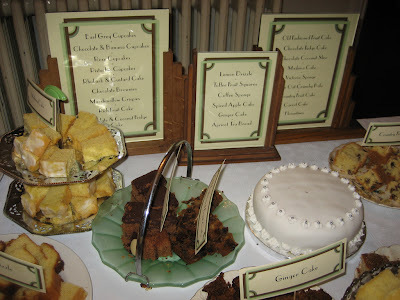 Following our celebration of our 1st wedding anniversary last weekend with a visit back to the fabulous Colehayes Park, I thought that it would be a good time to share our marvellous cake 'buffet', which served as the dessert to our wedding meal. 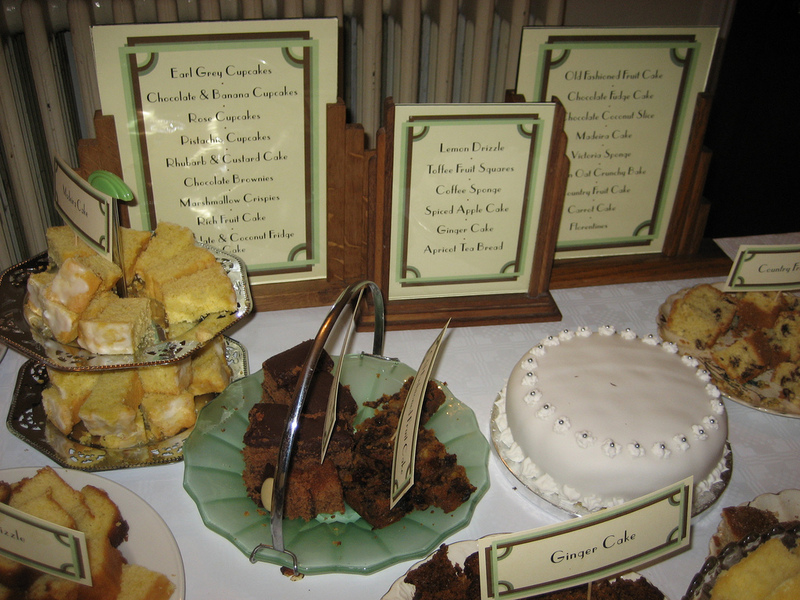 We had an amazing array of all sorts of cakes and treats, lovingly baked by 4 of our guests and myself, which we then displayed on our combined collection of cake stands and plates. 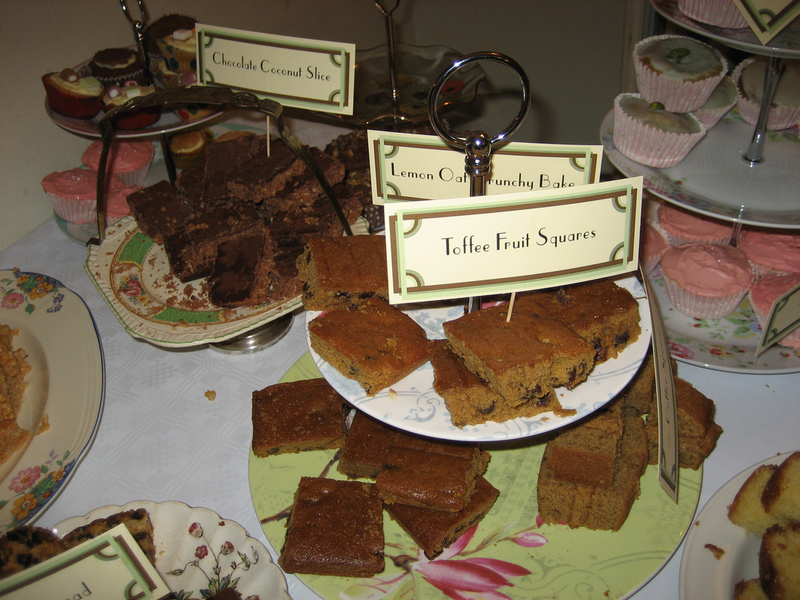 To cater for my dietary requirements and that of another guest, I made a selection of gluten and dairy free bakes, but which were good enough for everyone else to eat too! One of my aims in baking is to make cakes which everyone enjoys, and that taste and look as good as those made with gluten and dairy. Having different dietary requirements doesn't have to mean that you miss out on treats, and they don't have to be second-best! Thanks to Lisa Skinner and Jenny Brent http://bridebug.blogspot.com/ for the photos! One of the recipes can be found below, others to follow in future posts....... requests for any favourites are welcome! Rub together in a bowl the flour, coconut, sugar, oats and margarine until it resembles breadcrumbs. Add the golden syrup (it makes it a bit easier if it is slightly warmed). Dissolve the bicarbonate of soda in 2 tbsp hot water, and add to the mixture. Mix thoroughly. Press in to a greased swiss roll tin and cook at 150C/300F/Gas 2 for 35 minutes. Mix together the sugar and lemon juice for the icing, and as soon as you take the bake out of the oven, pour it over the top and spread out to cover completely. Leave to cool and then cut in to squares. James and I had visited the lovely Leon when in London last year (see my earlier post here), and sampled some of their amazing food, including their chocolate tart and pecan pie. These were both made with gluten free pastry, which was probably the best in terms of taste and texture that I'd ever eaten! So imagine my delight when I saw that they have their own cookbooks, and one specifically containing their desserts! Last weekend as we had friends for dinner, I decided to tackle the pecan pie recipe, to see if it lived up to the one in the shop. The method for the pastry recipe was quite different to any other pastry recipe that I'd tried, but it definitely did the trick! 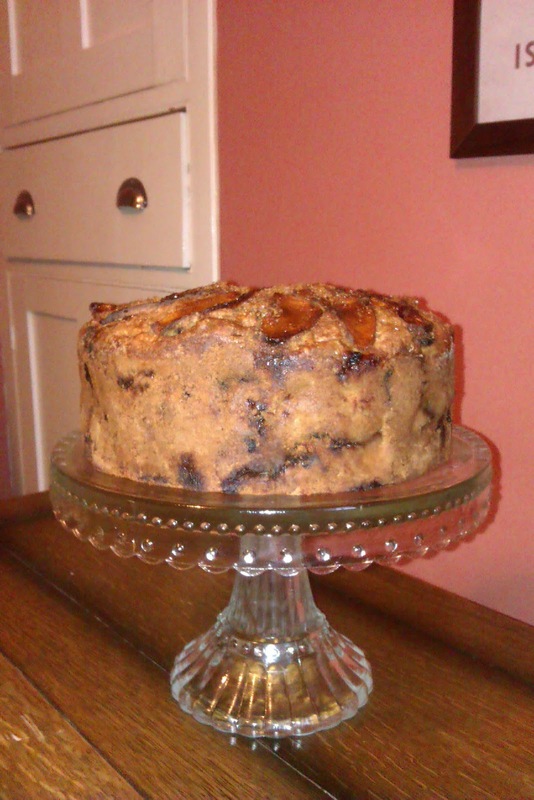 It was easy to work, didn't crack when I lifted it to lay in the base of the flan dish, and tasted lovely! I used a dairy-free margarine too, but the texture of it made it seem so buttery, that to me it seemed as good as the real thing. Gluten free pastry is something I've been experimenting with for the last few months, as it can be something which is pretty awful, so I am really glad to have found this wonderful recipe, and won't be using anything else ever again! I also mastered a good flaky pastry recipe for Christmas, which will be the subject of a future post. Puff pastry and vol au vonts being my ultimate aim.....! 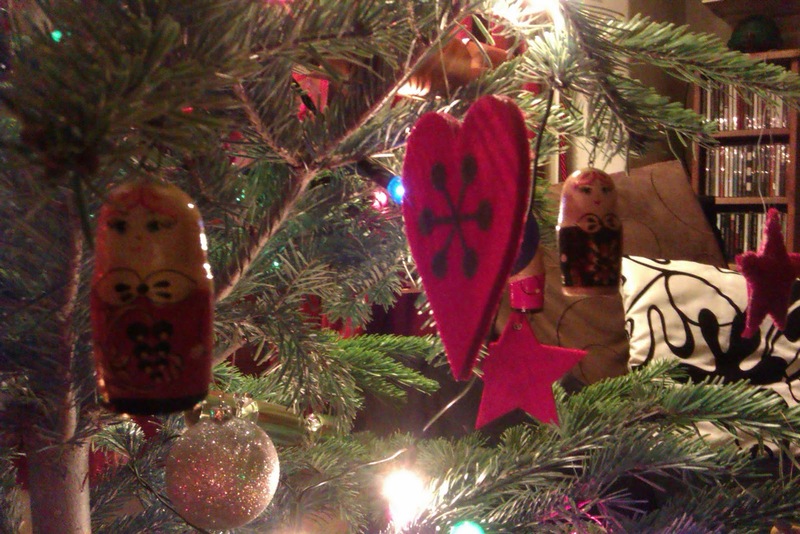 A little bit belated (or extremely organised for Christmas 2012! 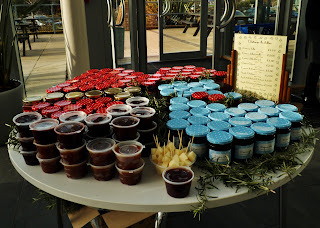 ), this is my recipe for edible Christmas Tree decorations. I'd made these for many years as an annual tradition in my wheat-eating days, but this is one of those examples of an adapted recipe which works really well with Gluten and Wheat Free flour. The original was from a BBC Good Food Calendar from a number of years ago. Beat together the Margarine and Sugar for about 3-5 minutes with an electric mixer. Add the egg slowly and beat in. Stir in the vanilla, mixed spice, golden syrup, flour and baking powder. It tends to be quite a sticky mixture, so if necessary, add more flour. Bring together into a ball, wrap in cling film, and chill in the fridge for at least an hour (I sometimes leave it overnight, and find that it is often better the longer it is left). Roll out half of the mixture onto a generously floured work surface until it is about 4-5mm thick. 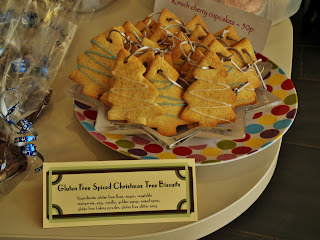 Cut out the biscuits using a tree or star cutter and place them on a lined baking sheet. Repeat this process until all of the dough is used up, re-rolling all of the off-cuts each time. 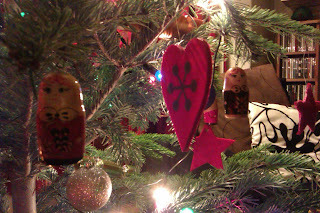 If you wish to hang these as decorations, the hole needs to be made at this stage. Use a cocktail stick to create the hole, bearing in mind that it will shrink when cooking. Bake in a pre-heated oven at 160fan/gas 4 for 10 minutes until just browned. Decorate and thread ribbon through when cooled. Apples are another thing which we've had a glut of from the allotment this year. James did a grand job with making vast quantities of chutney (much of which was sold in aid of Hospiscare), but I thought that for a bit of variety I'd try and make an apple cake. Grease and flour an 8 inch round cake tin. Sift the flour and mixed spice into a large bowl and rub in the margarine until the mixture resembles fine breadcrumbs. Mix together the sugar, sultanas and prepared apples and add to the flour mixture. Mix the milk with the beaten eggs in a jug and stir gently into the rest of the mixture until well combined. Spoon into the prepared cake tin. Top with the slices apples and demerara sugar. Bake at 170˚Cfan/325˚F/gas 3 for 1 ½ hours or until a skewer comes out clean. Leave on a wire rack to cool before turning out. I substituted the flour with gluten free self raising, dairy free margarine in place of the butter, and soya milk. Definitely one to add to the repertoire! 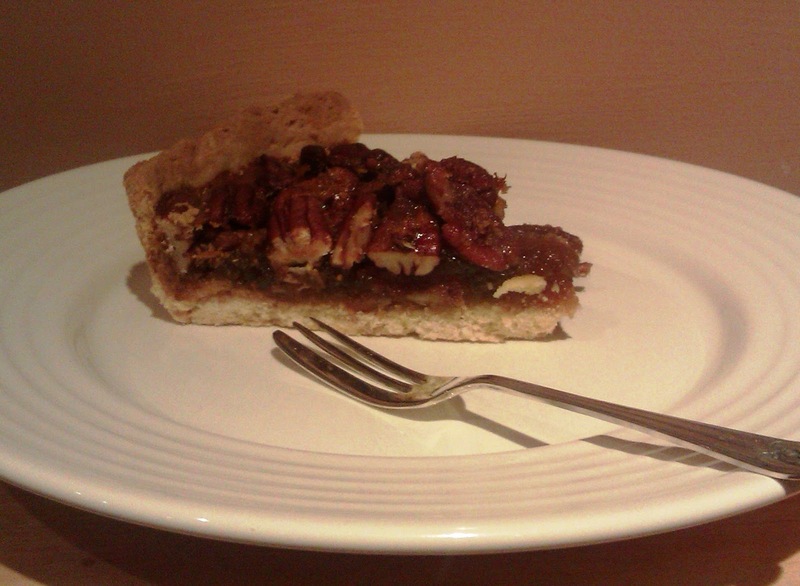 Chocolate tart and pecan pie - both with amazing gluten free pastry. I think this will be a new favourite place when visiting London! Due to a glut of rather large courgettes from the allotment, James suggested it was about time I turned one of them into a cake. After finding a variety of recipes online, I took inspiration from a few, and came up with the following. 1. Mix the flour, xanthan gum, mixed spice, cocoa and sugar together in a large bowl or food mixer. 2. Add the eggs, vanilla extract, oil and grated courgette and mix well until combined. 3. Transfer to a 20cm round greased and lined cake tin. 4. Bake at 160Cfan/180C/gas 4 for 40-50 minutes or until a skewer comes out clean. If the grated courgettes are very moist, then it may take a little longer. 5. Leave in the tin for 10 minutes before turning out on to a wire rack to cool. 6. For the icing, sieve the cocoa powder and icing sugar together in a bowl. Gradually add a few drops of water at a time, mixing in between each addition. Pour over cooled cake. Leave to set. I did add some GF baking powder as well just to make sure it rose, but it really wasn't necessary! The cake mix could easily take some more sugar and cocoa, so I would probably up the quantities of both by a few ounces next time. I've always been a fan of baking and all things sweet. 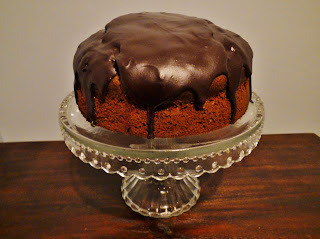 So when in 2006 I was diagnosed with endometriosis, and decided to change my diet to help manage the condition, I knew that I still wanted to be able to bake and eat my favourite cakes. So I have spent the last few years tweaking favourite recipes to make them without wheat, one of the things which a number of ladies with the condition don't eat. 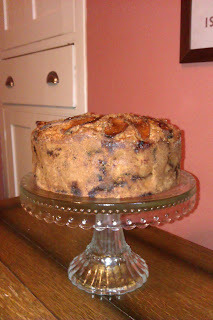 This blog is my attempt to share in my cake making escapades, and hopefully give others some inspiration too! NB The majority of recipes on here will be gluten free as well as wheat free, although I do eat oats, barley, rye and spelt. If a recipe contains any of these it will clearly state that it is not a gluten free bake!